Aleppo (Agenzia Fides) – The refusal of the anti-Assad forces to humanitarian truce in Aleppo proposed by the UN envoy Staffan de Mistura is “a serious matter” and proves once again that the Syrian conflict “will not end until all the forces that are fueling it from the outside want to make it last”. This is how Bishop Georges Abou Khazen OFM, Apostolic Vicar of Aleppo for the Catholics of the Latin rite, considers the refusal with which the groups – including those supported by the West – have rejected the idea of a cease-fire that would allow to bring aid to the population of the metropolis battered by years of conflict. The UN envoy de Mistura himself said that the government of Damascus was willing to halt fighting in Aleppo for six weeks. On the other front, the galaxy of the military opposition – such as al-Nusra Front and minority and irrelevant groups of “rebels” recognized and supported by Western countries – responded that they would only meet with UN officials if the ceasefire eventually led to the exit of President Bashar al-Assad and his inner circle as well as prosecution of individuals for war crimes. The opposition brigades do not find a clear plan to bring peace in Aleppo within the de Mistura initiative. The plan offers a break from fighting and certainly only the regime would benefit. 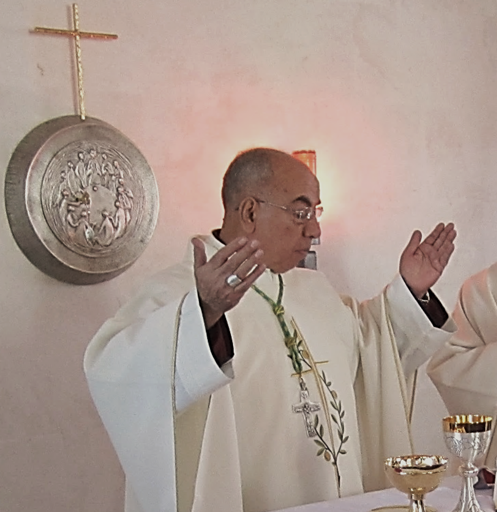 “The rejection – says Bishop Abou Khazen to Fides – confirms that the war will continue until foreign powers fuel it. The US and Turks have just declared to have a plan of support and training of rebel groups for the next three years. So for them the war will last another three years, and the people here will continue to suffer and die for another three years … Before the riots, the nine hundred miles on the Turkish border were protected, and if by chance a shepherd crossed the border to catch a sheep that escaped, they would shoot and kill him. Now thousands of militiamen from there enter Syria with heavy weapons, while refugees are rejected, who from Syria try to go elsewhere to escape the violence of the jihadists”. Before this tragic scene – explains the Franciscan Bishop – what remains is only hope born of faith: “Like St. Paul, we hope against hope. Because we know from experience that our Lord is great and good. Our destiny is in his hands, and we are not interested in the maneuvers of the powers in the world, no matter how great they are”.